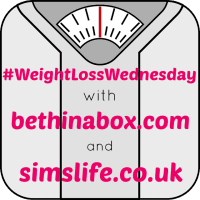 Welcome to Weight Loss Wednesday Linky Week 41! We are getting there – the end of the year is nigh! How are you all getting on this week? Hope you are all cracking on well! Well this last week has been crazy – what with a pre-opening event at the new Wagamama restaurant in the Trafford Centre in Manchester and a super, calorie laden meal at Cafe Football opposite Old Trafford, it really wasn’t the greatest week to start back on the New You Plan. 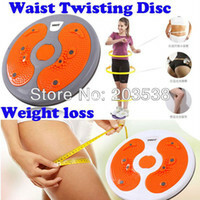 However taking the XLS Medical Max Strength tablets appeared to have helped me maintain my weight so that I did not tip back into a stone category I don’t want to see again. The tablets help to reduce calorie intake, by taking 2 tablets up to 30 minutes before your two main meals of the day. Cracking on with the New You Plan now, thanks to my favourite meal packs and shakes arriving last week, it has been very easy to get back on the diet. I know this is my final shift now before Christmas and in that time I would love to lose a stone and maintain it. I am slowly getting used to the new equipment at the gym and am even improving on my PB’s on the treadmill! Total progress! I really do need to sign up to another race next year – any suggestions? Maintaining is where the main struggle will lie, not actually the shake part oddly enough. With Christmas comes the opportunity to tuck into lots of glorious treats and knowing how easily tempted I am, I know that I am going to have to learn how to say no to many of my favourite treats. I have not worked hard all year (with some time off for good behaviour) to simply fall at the final hurdle and be in a position where I am considering another diet New Year. Yes, I wish to enjoy myself, however I realise that my mind is going to have to get in check and I need to make healthy choices. When it comes to temptation – how do you make the right choices? There’s the million £ question, eh! How do we make the right choices, so difficult to know the answer to as I think each of us is so different. I will probably ‘fall off the wagon’ over the festive period, but I think I’m OK with that, I want to live, I want my healthy eating to be just that, healthy eating, a healthy lifestyle, not a diet. So I hope that my smaller portions that I’m learning to take and be happy with will have made the difference for me. Well done on improving your PBs btw! Part of sustainable weight loss is to work on the mindset you have. Yes it feels like you have to give up a lot of treats at the holidays, but you can learn to make many of them in a healthier way. Plus there are whole foods that can be just as satisfying and delicious. You can do it. I completely sympathise with you were christmas is concerned I struggle to say no at christmas the most. I’ve struggled to say no a lot lately and these last few weeks have been particularly hard to say no with mine and my hubs birthday this month. I find if I can avoid seeing/smelling the tasty treats for long enough then my craving go and I’m not really bothered but with birthday treats in the house it is hard work.